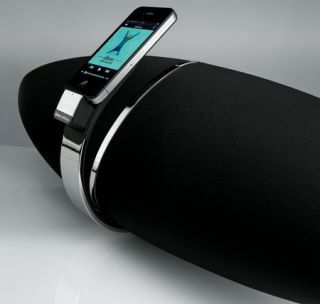 Bowers & Wilkins to run AirPlay demos at 'pop-up shop' | What Hi-Fi? Bowers & Wilkins is planning a series of AirPlay music streaming demos at a special 'pop-up store' in London from November 29th to December 5th. The events, which will be held at Space fiftyfour in Rivington Street, Shoreditch, London, will feature a selection of wireless playlists from various independent record labels. Representatives from the labels will be present each evening to play a choice of their new releases and back catalogue material through a B&W Zeppelin Air. Alternatively, visitors can stream their own choice of music using their own Apple iOS device. They'll also be able to listen through a pair of B&W P5 headphones. • December 2nd: Bella Union (Fleet Foxes, The Low Anthem, Philip Selway). • December 5th: Supergroup Apparatjik will also host an evening featuring its new iPad album, Square Peg in a Round Hole. The Bowers & Wilkins pop-up shop will be open from 11am to 7pm during the week, and 11am to 5pm at weekends. You can find it at Space fiftyfour, Rivington Street, London EC2A 3QN.